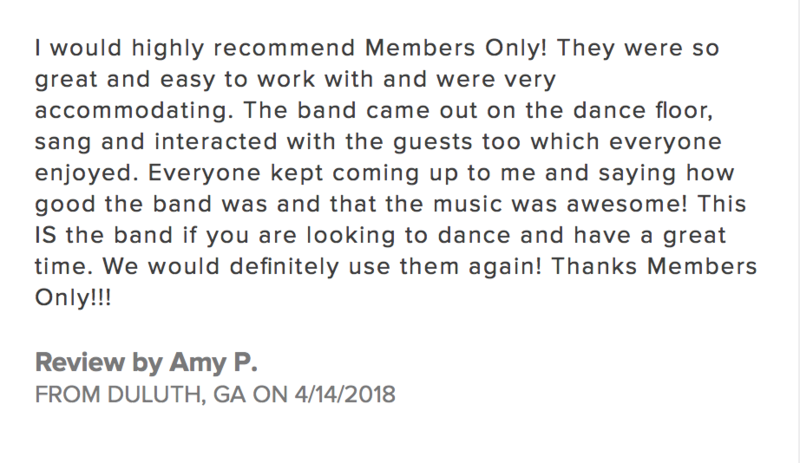 Is an Atlanta-based party band that plays nothing but hits and can keep your event on their feet all night long! We feature 2 lead singers (male and female) and a young, energetic group of players that will make your event unforgettable! 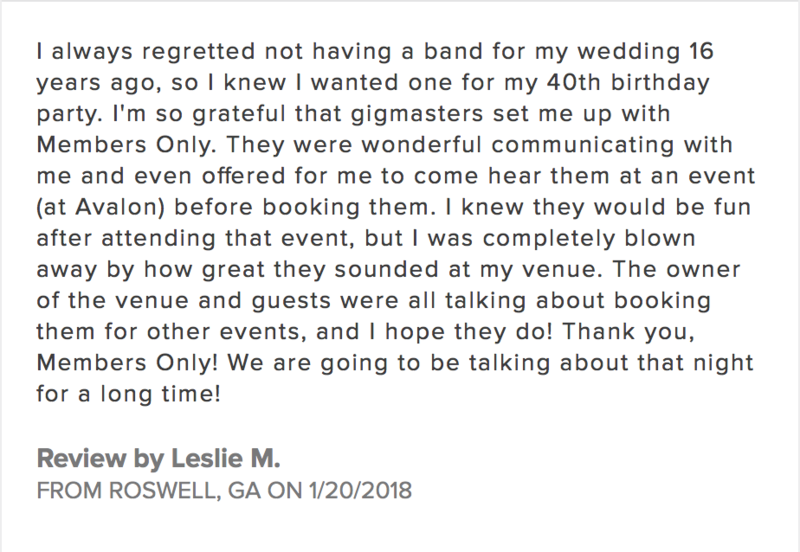 While we do specialize in 80's & 90's dance music we have a wide song list including modern top-40 hits to cater to your event!